When it comes to important surfaces on your home, your roof is easily right up there at the top of the list, and as the most important surface on the exterior of your home, you want to be sure you have the name of a professional Island Park roofing company who can provide you with the quality services you need to keep your roof in top shape year after year. 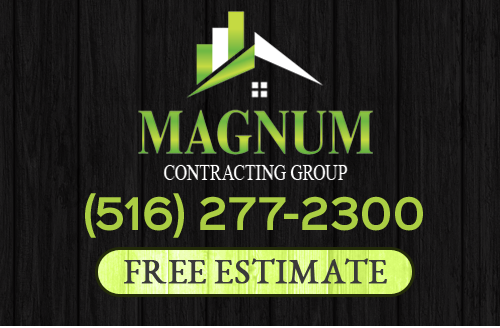 Here at Magnum Contracting Group, we are the premier roofing and remodeling contractors serving the Island Park area, and our team of skilled professionals are ready to provide you with the high-quality service and results you need to maximize the comfort and function of your home. Are you looking for a professional Island Park roofing contractor who can help you with all of your roofing and remodeling service needs around your home? If so, give our team of skilled professionals a call today and let us show you the level of quality service that's helped make us one of the most trusted names in comprehensive roofing and remodeling the area has to offer. Here at Magnum Contract Group, we understand just how big of an investment your Island Park home is, and we're grateful of the fact that so many local homeowners have chosen to trust us to help protect and improve that investment. We provide a comprehensive lineup of high-quality services designed to help maximize the level of protection and comfort your home provides, as well as the ease of function it offers to you and your family. Whether you're looking for extensive roofing repairs or roofing replacement, or you're looking for something to improve the overall function of your home, like a brand-new kitchen or bathroom remodel, our team of skilled professionals can help make it happen. If you have any questions about our full line of high-quality roofing or remodeling services, or if you would like to schedule an appointment for consultation to go over your prospective project, give us a call today. Our team of experts are always standing by and would be happy to assist you in any way we can. When it comes to keeping your roof in the best shape possible, preventative care is always going to be a less expensive and less time-consuming investment than pumping money into repairs after damage has been done. In terms of preventative care for your roof, regular roofing inspections are one of the best investments you can make. During the course of your roofing inspection, our team of skilled roofing contractors will give your roof's surface a thorough examination and be on the lookout for any minor signs of damage that could lead to more serious issues down the line if they aren't treated. After identifying these damages or vulnerabilities in your roof's surface, our team of skilled roofing pros will provide you with a comprehensive breakdown of what needs to be done to repair them and keep that damage from spreading. If you are looking for a professional Island Park roofing company or remodeling company, give Magnum Contracting Group a call today at 516-277-2300 or complete our online request form.